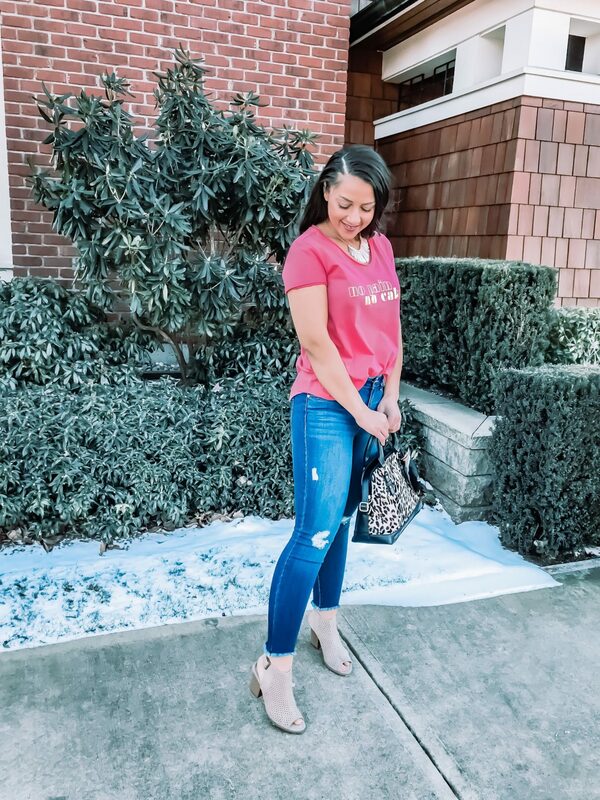 Would you believe me if I told you that both my jeans and top are under $50? It’s true! 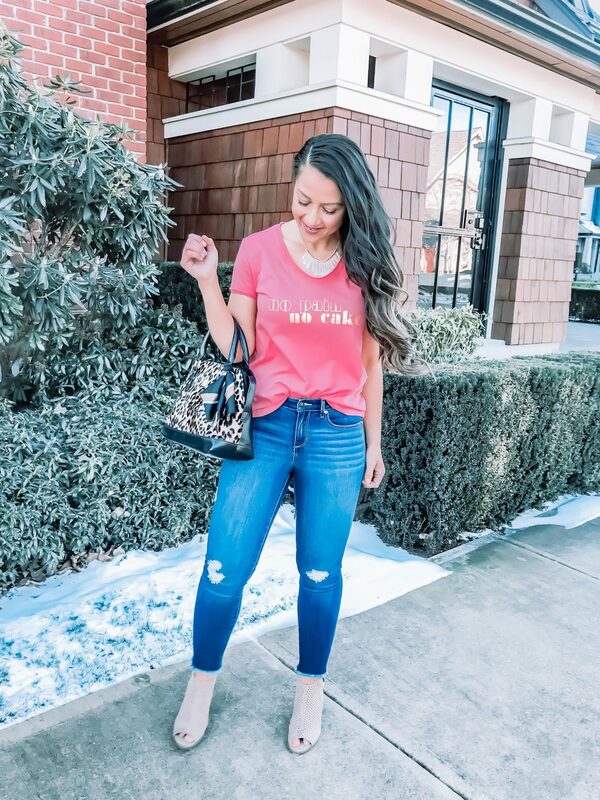 Let’s talk about these skinny ankle jeans for a second. The first thought I had as I put them on was how they had the perfect stretch and glided on my body like they were made just for me. They have just the right amount of distress and I love the raw hem. 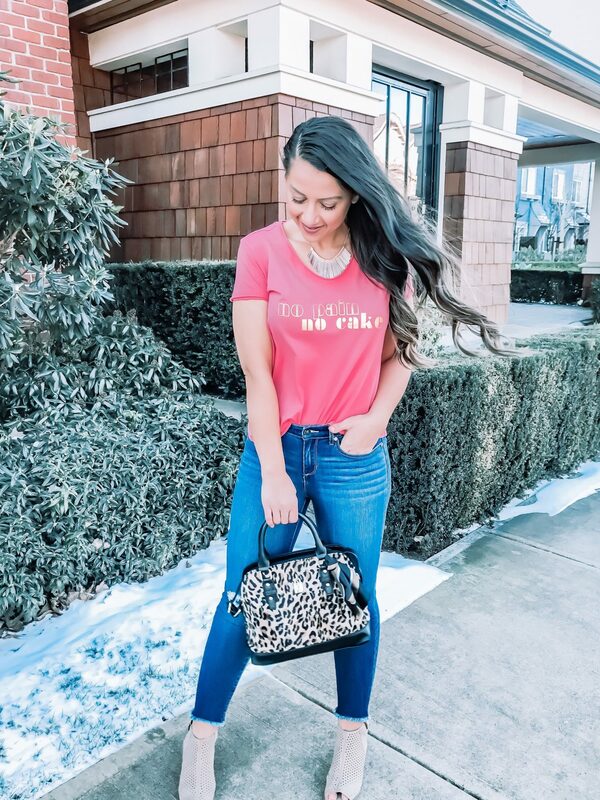 They move along with you making them the perfect everyday jeans to pair with anything you have in your closet. Such a steal for under $25! I paired them with this super cute and soft tee. I am obsessed with this color for spring but it also comes in a couple other colors if you don’t fancy the coral. I am also linking a few other pieces from her line that are super cute and fabulous for spring! 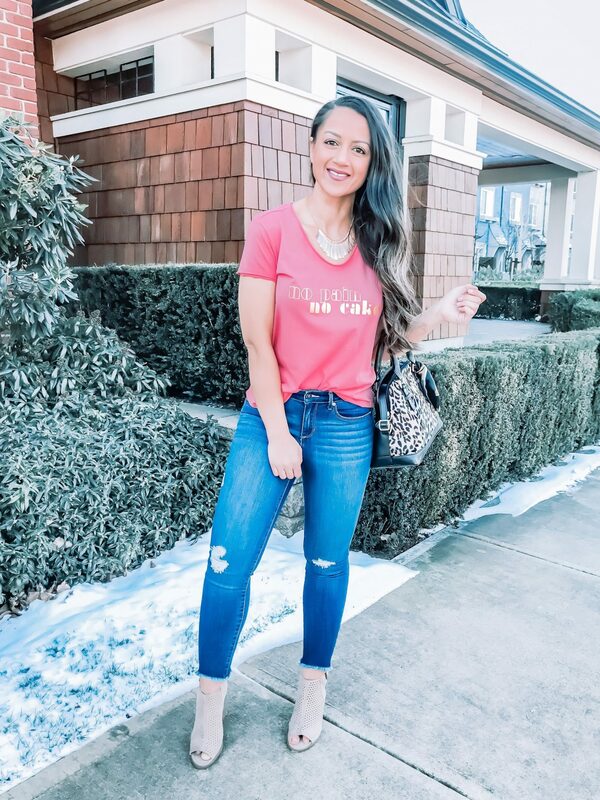 I just ordered a few more pieces like this top and these jeans. I know they will be a perfect addition to my spring closet! 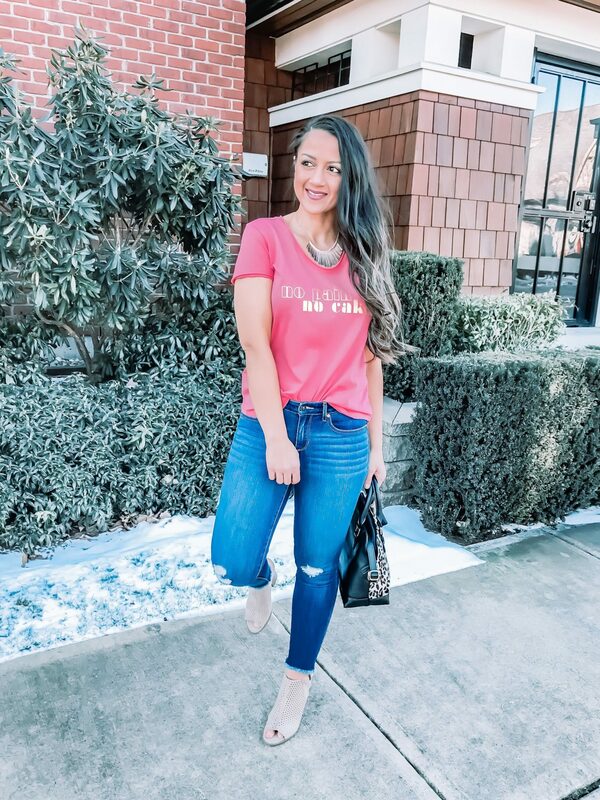 Sofía’s collection features over 90 styles of on-trend denim and feminine tops in a price point range from $14-$40 truly making it a line for every single woman!